Recently while working on System Refresh for Global Batch Trade system, we have observed that even though BDLS completed successfully but still it skipped some of the important tables of the system & due to this, it’s impacting the functionality of GBT. we are not able to assign QAS logical system on Tcode – /GBT/LOGSYS_CONFIG & it’s throwing dump “Duplicate entry”. we found that we have PRD logical system entry in table – MDG_BUS_SYS_TECH (even BDLS completed successfully earlier for respective logical system). There is on SAP Note 1637676 – (BDLS Manual correction required or Manual Conversion required) which is helpful to understand the scenario & take corrective actions. 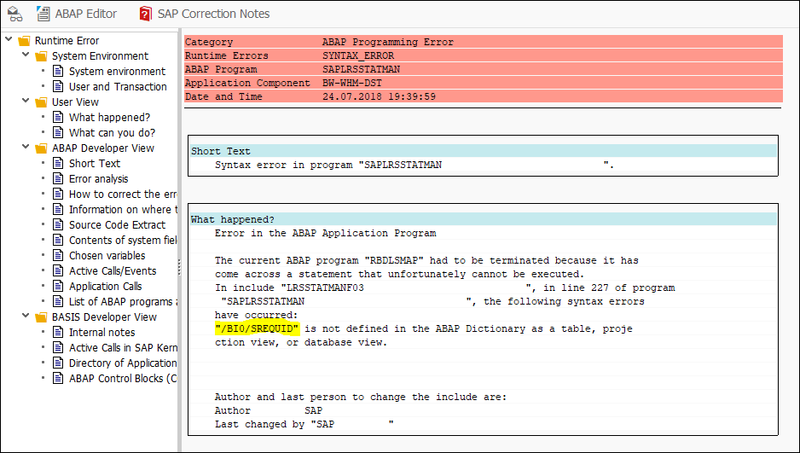 Table – COMC_PR_LOGSYS has multiple entries (PRD & QAS) both & there is no way to delete the PRD entry from the table. The alternate method to remove the entry is from SPRO. Edit the above field after opening the client & remove the PRD logical entry, close the client. Inform Functional Team to perform their functional tests.